One of the benefits to waking up early ... amazing sunrises. 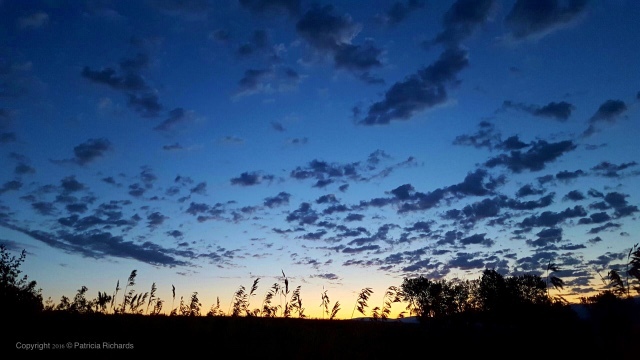 While staying at Brother #3's Montana home, the dawning day's sky drew me outside. Dressed in a hoodie, brother's shoes, and my PJ'S, I was glad the only other creatures stirring were some quail and deer! Who spun the breadth of blue!..." Two talented girls in your family:) I love the snippet of poem you shared, esp. after just having come in from enjoying the sunrise here:) The Weaver thrills spectator tirelessly! We do manage to have our fair share of fun! & yes, I loved the Weaver image! By the way, loved The Weaver's Song post, incl bonus prayer-poem!